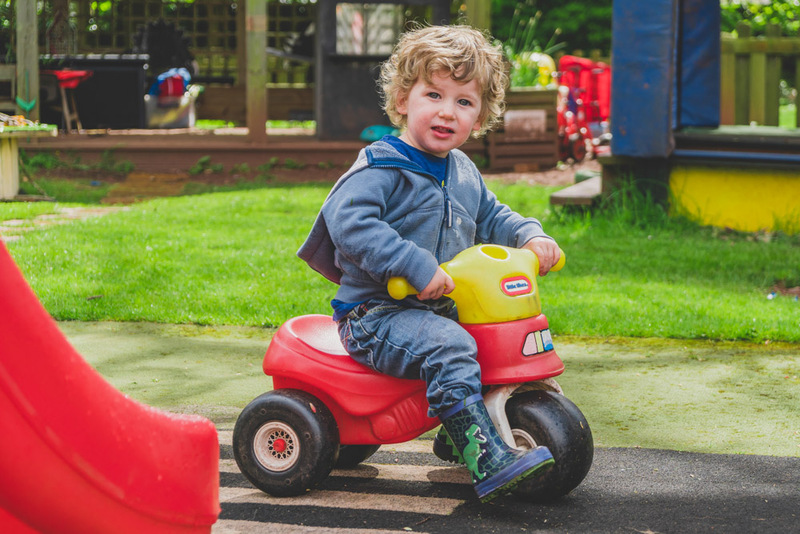 Children thrive in our nursery on the first step of their educational journey, enjoying a wealth of activities and experiences presented through a proven curriculum. A stimulating early years environment is vital for the development of happy and contented children and in EYFS – Abbey Nursery & Foundation stage, children enjoying our early learning opportunities to the full. Our nurseries are spacious and equipped with apparatus designed to enrich all areas of development in young children in the first and most important early years of their lives. 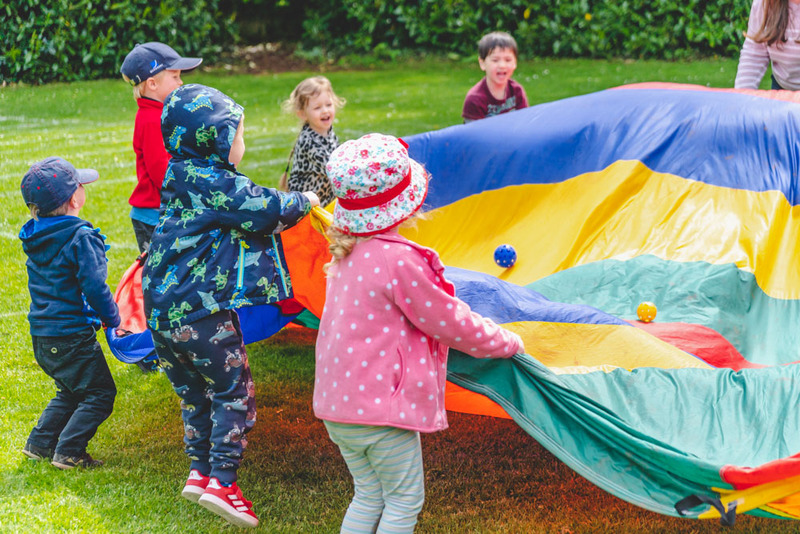 Wherever possible, especially in summer, children spend much of their time in our delightful grounds which are spacious and interesting, offering outdoor space to play in all weathers. We even grow some produce that is used in our lunch and often enjoy new potatoes, courgettes, beans, salads and herbs that we have produced ourselves, with the help of our very industrious nursery children and their parents. Our younger children thrive on lots of cuddles and attention in our happy and caring environment. It is such good fun that we often have children not wanting to leave at the end of the day! 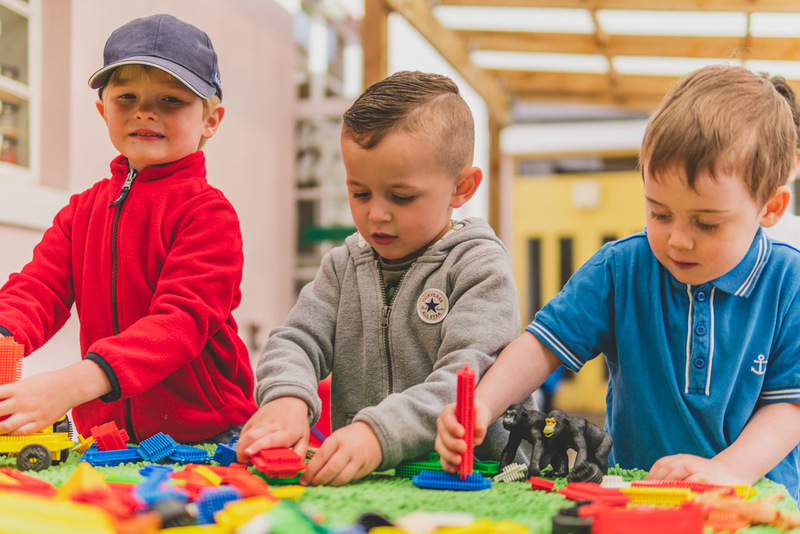 The Early Years Foundation Stage (EYFS) is the statutory framework that sets the standards that all Early Years providers must meet to ensure that children learn and develop well and are kept healthy and safe. The revised, simpler framework for the EYFS was published on 27 March 2012, for implementation from 1 September 2012. The educational programme presented in our nursery has been developed by our Principal, Mrs Sylvia Greinig, a life-long educationalist and early-years Ofsted Inspector. The Abbey School Nursery programme of care and education is ably implemented by the Head of Nursery and supported by all Nursery Staff. With this team of experienced professionals to support our families, we are confident that your child will receive the best possible early-years education and care in Abbey School Nursery. As in all good Preparatory Schools, we like to work closely with parents because together we will achieve more for your child. Over the years, much research has been completed and published which indicates that where parents and schools work closely together, children benefit enormously. It has been Mrs Greinig’s contention for many years that the most undervalued asset in British education is close co-operation between parents and teachers. Because of this, Abbey School genuinely fosters and values contact with parents and there are many opportunities at Abbey to discuss your child’s progress with members of staff. In addition, we create opportunities to work together to formulate achievable goals and assess the progress of your child. Moreover, we keep you updated with events in nursery and in school, with weekly updates sent directly to your email box. Variety is the spice of life, so they say. In Abbey Nursery, we ensure that our children enjoy rich and varied learning experiences in the first and most important early years of their life. Such diversity is vital. As time passes, these early experiences will be transformed into the attitudes, attributes and skills that your child will take into adult life. This is the time to get the foundations right so that the building blocks of the future are secure. This first step on the educational ladder is exhilarating and immensely important. Furthermore, it passes all too soon. At Abbey we will help you to enjoy these early years while at the same time, we will enable your child to gain the most from each area and phase of this exciting and rewarding stage in life. Abbey Preparatory School is academically non-selective and there is a guaranteed place in our Pre-Prep department for all our nursery pupils transferring to our Reception Class in the September following their fourth birthday, providing we know twelve months in advance. You really must visit us to see our nursery, children and teachers for yourself. You owe it to yourself and above all, your child! This phase of your child’s development is so important that it doesn’t make sense to settle for anything but the best. In the very first round of Nursery inspection undertaken by Ofsted there were ‘no areas of weakness’ at Abbey School. This is Ofsted speak for excellent. 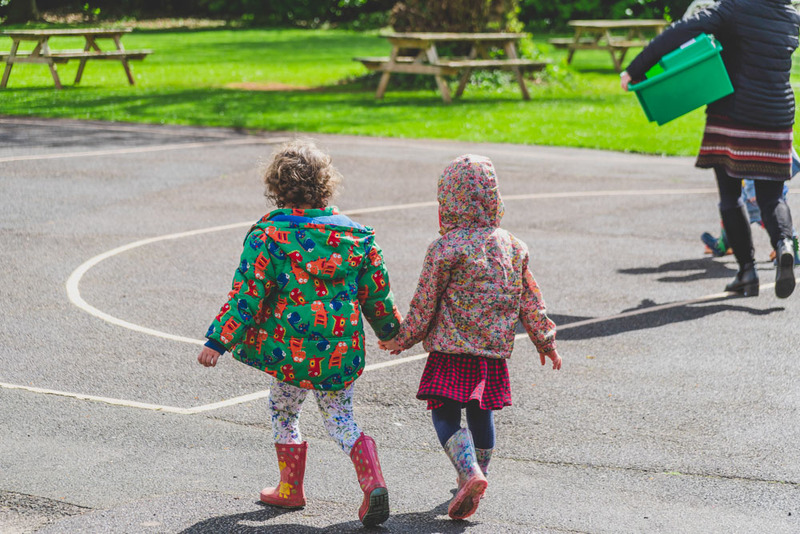 We were the only Nursery in the South West to be so categorised during this phase of inspections, and, as is our way, have implemented regular improvements ever since. We are proud that over the years we have maintained and even improved this very high standard and others have now followed our lead. These learning areas are presented at the appropriate levels through play, music, drama and a range of Topics. All weekly, per term and annual timetables are published and posted on the Nursery notice-board for your information. As a guide, we provide normal attendance sessions (9am-12 & 12-3pm) and Nursery pupils may also attend before and after these sessions, between 8.00 am to 5.30pm from Monday to Friday throughout the year, depending on parental requirements. You will need to visit us and see for yourself our remarkable nursery and the exceptional care given by our staff. 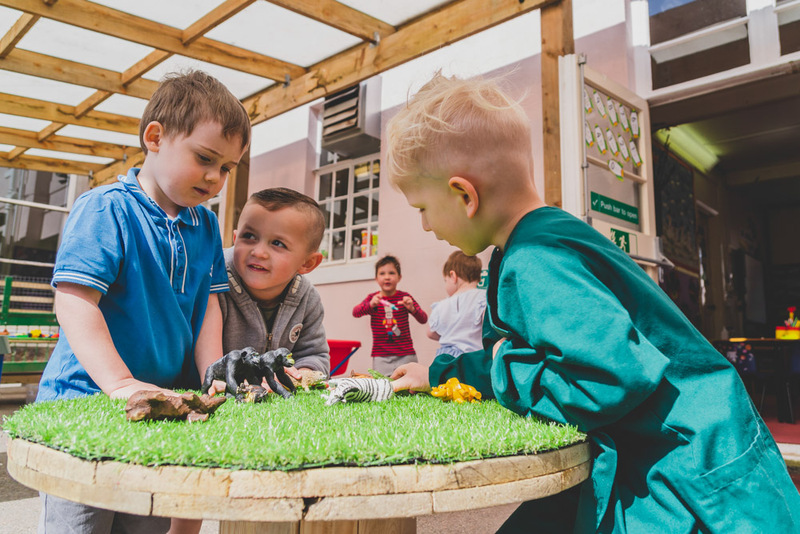 Our nurseries are spacious and equipped with apparatus designed to enrich all areas of development in young children in the first and most important early years of their lives. Physical development involves providing opportunities for young children to be active and interactive; to develop their co-ordination, control, and movement. Children must also be helped to understand the importance of physical activity, and to make healthy choices in relation to food.